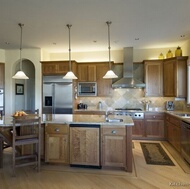 Arts and Crafts kitchens are identified by simple lines, rugged construction, and very little excess ornamentation. 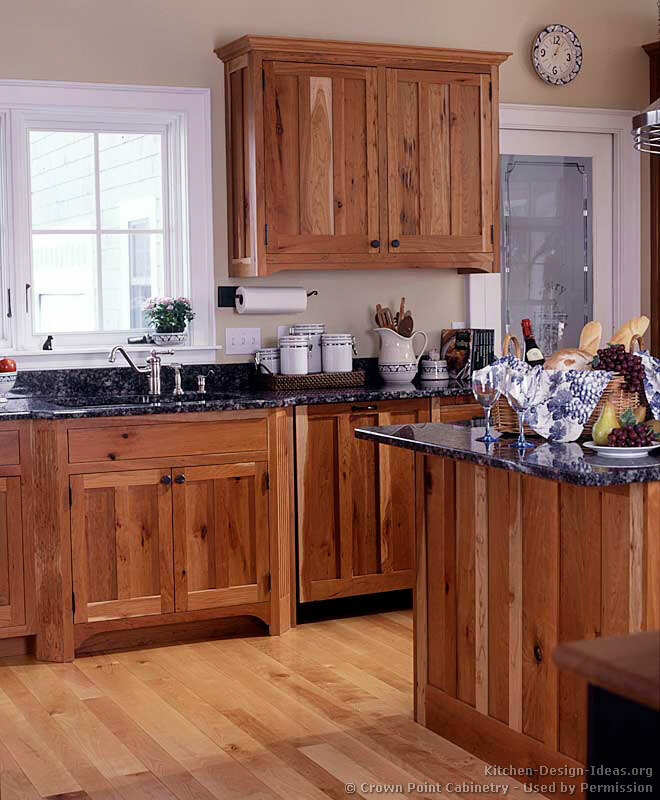 The style is often associated with Mission, Shaker, and Craftsman designs, although there are some historical differences between them. 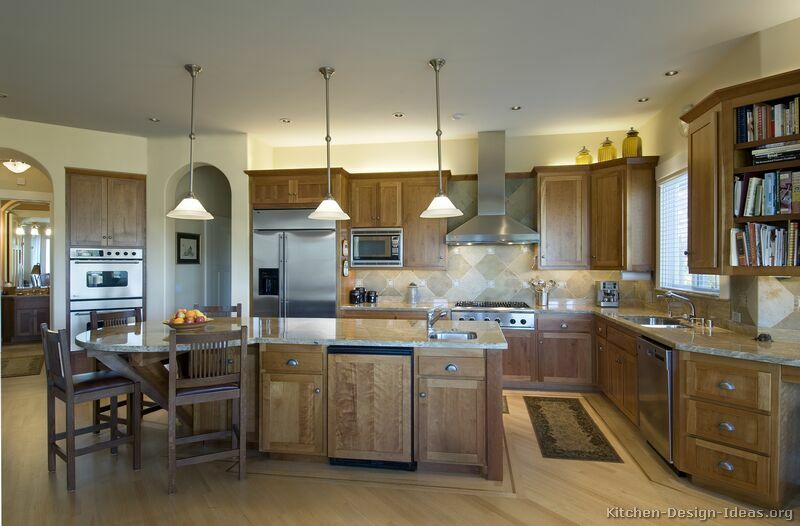 This Arts and Crafts style kitchen features traditional cabinets in quartersawn white oak, white countertops, craftsman green accents on the walls and backsplash, and a sizable kitchen island with a large prep sink. History: The Arts and Crafts movement began in England around 1890 in response to the overly ornate, assembly line furniture of the time. 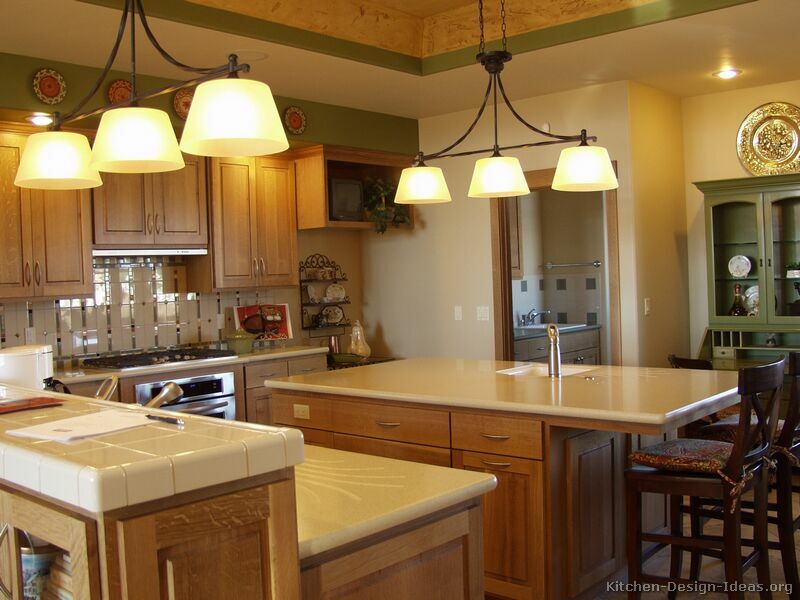 The movement focused on aesthetic simplicity, talented craftsmanship, and impeccable quality. 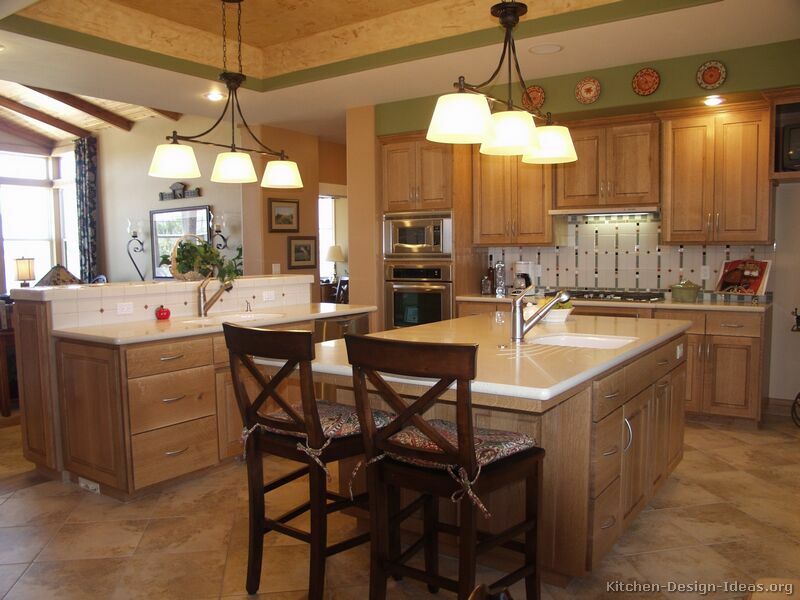 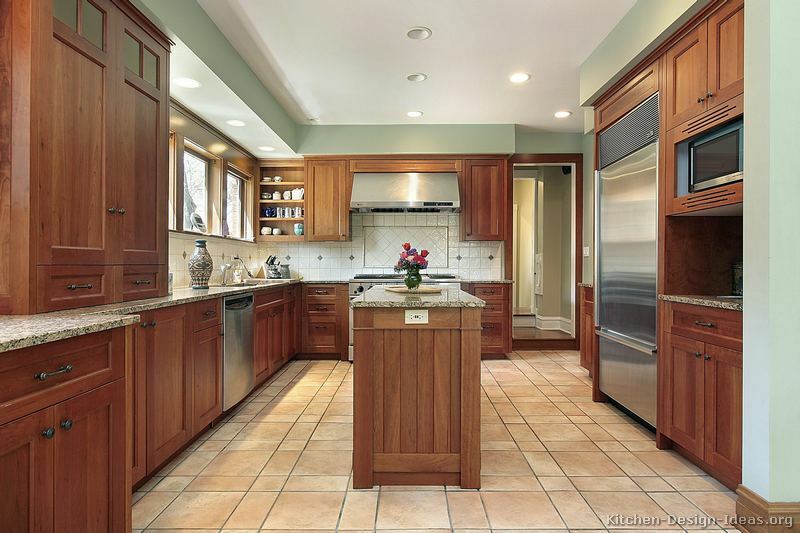 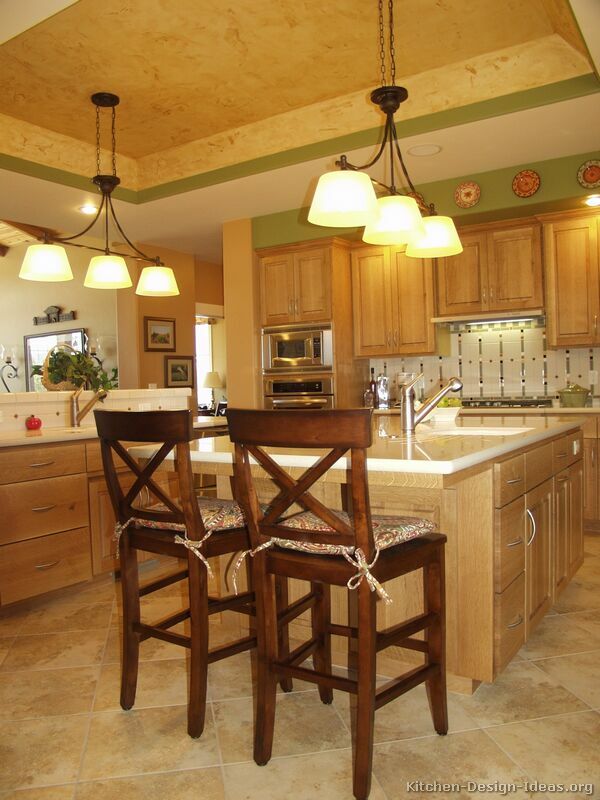 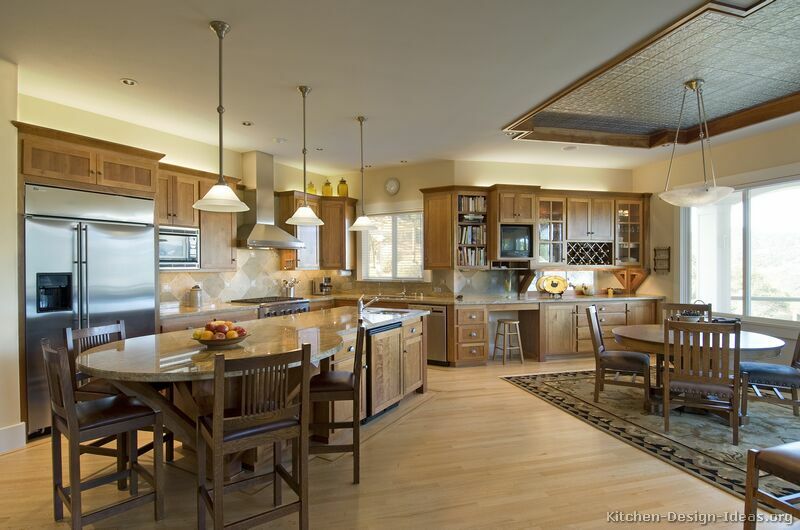 Appearance: Arts and Crafts kitchen design relies on straight lines and heavy proportion. 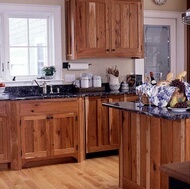 It bears some resemblance to Gothic, Shaker, and Oriental designs. The style often features Mission or Shaker door styles, iron or brass hardware, and Quartersawn Oak cabinets. 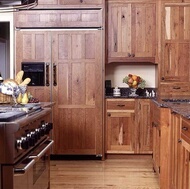 Other appropriate woods include Ash, Birch, Cherry, Hickory, and Maple. 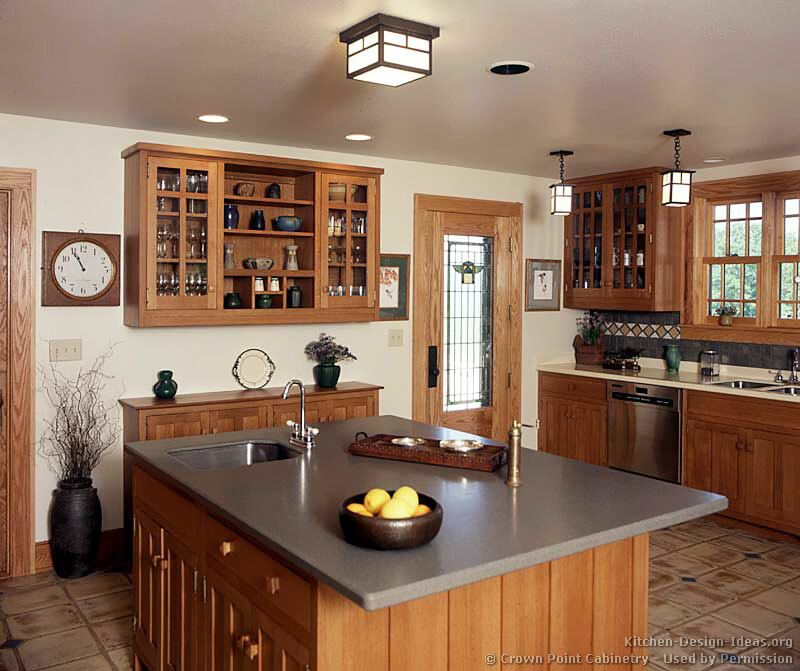 Craftsmanship: Arts and Crafts cabinets, built properly, feature dovetailed drawer boxes, mortise and tenon joinery, and rugged hand-made construction. 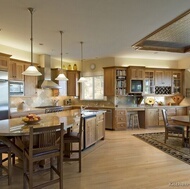 The ultimate goal is functional, well-built, and enduring cabinetry, built like an heirloom piece of Stickley furniture. 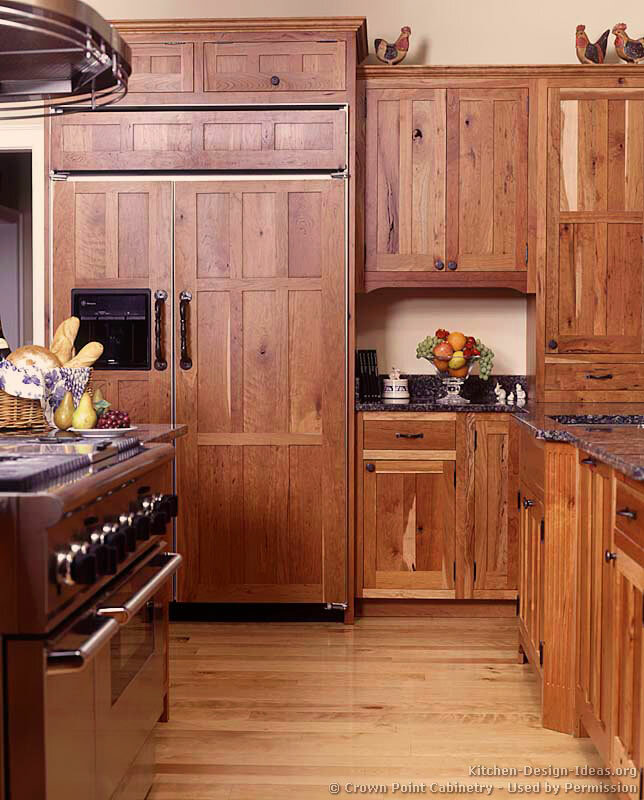 A Return to Quality: When the style fell out of favor by the 1970's, it was not uncommon for a Stickley piece to be thrown away or sold in a garage sale. 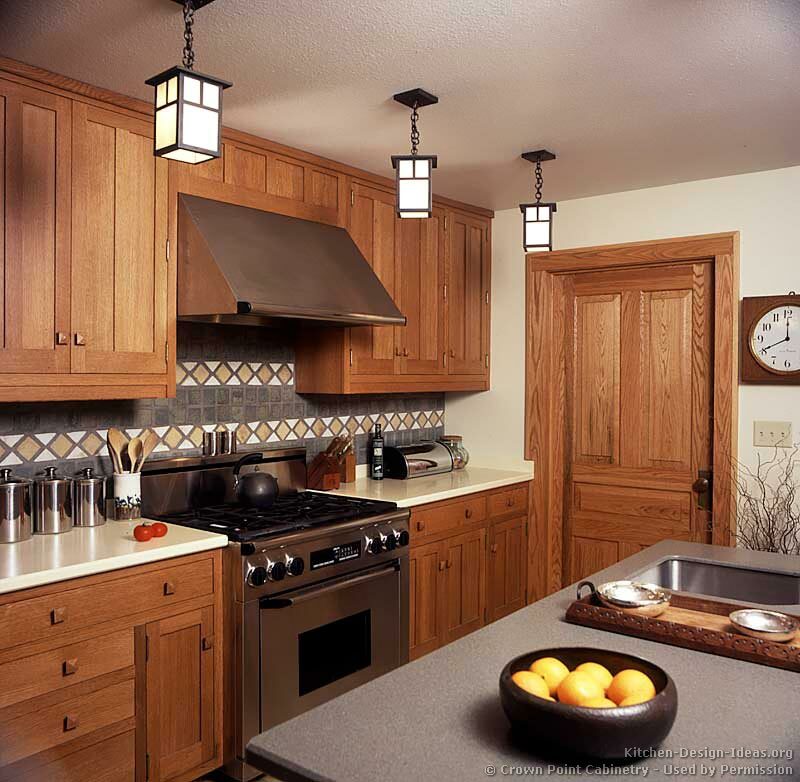 Today, however, with the glut of inexpensive and poorly made imported cabinetry, the Arts and Crafts style kitchen is making a strong resurgence with homeowners who recognize true quality of custom cabinets made by artisans of the trade. 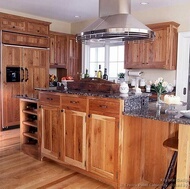 One should expect to pay a premium through custom cabinet makers equipped for the task. 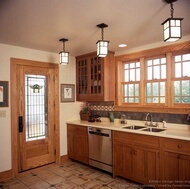 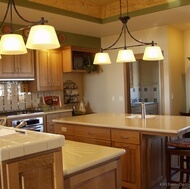 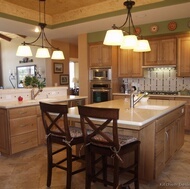 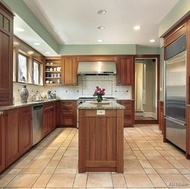 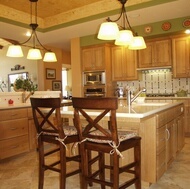 Below are some pictures of kitchens in the Arts and Crafts style. 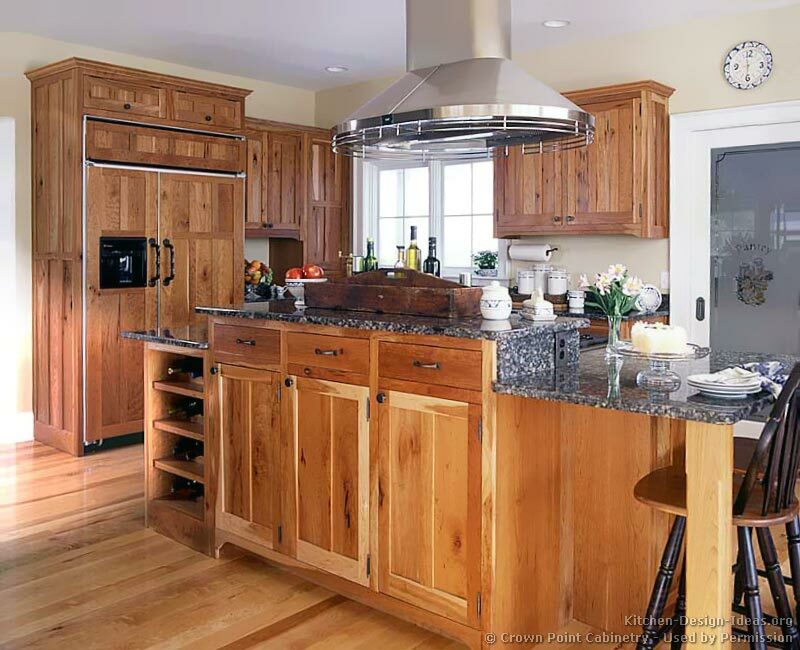 If you enjoy the beauty and simplicity of these kitchen cabinet styles, be sure to take a look at the Shaker and Craftsman kitchen styles as well. 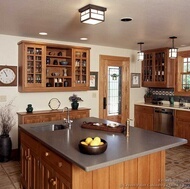 More Kitchen Styles: Return from Arts and Crafts Kitchens to Kitchen Cabinet Styles for more kitchen design ideas and inspiration.